 Wilfs features Private Dining in the Wine Vault dining room and the Beefeater dining room, or for larger parties we can open the entire Wilfs dining room for your event. With our seasonal menus and attentive staff, we can easily host your breakfast, lunch, or dinner party or meeting. Special occasions are our speciality! Whether your event is a business meeting, family affair, wedding reception, rehearsal dinner, bridal shower, sunday brunch, wine tasting or a private wine dinner, we have a variety of spaces and custom menus to meet your party’s needs. You can request a private dining reservation online with this form or for additional information, please contact Candace McDonald at 503.223.0070.